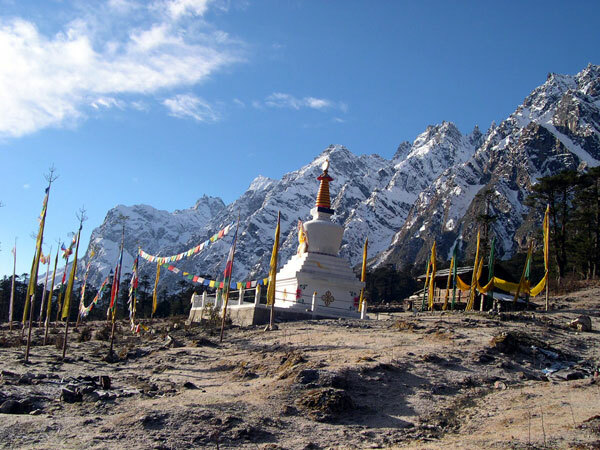 Sikkim, a small north easternly state of India, located long sequestered in the laps of the Himalayas. The paradise of Eastern Himalayas, smallest of the Indian states, Sikkim has an area of 7,096 sq. kms and population of around three lakhs. This gentle, green state in the northeast is surrounded by Nepal, Bhutan and China hence strategically it becomes very important. 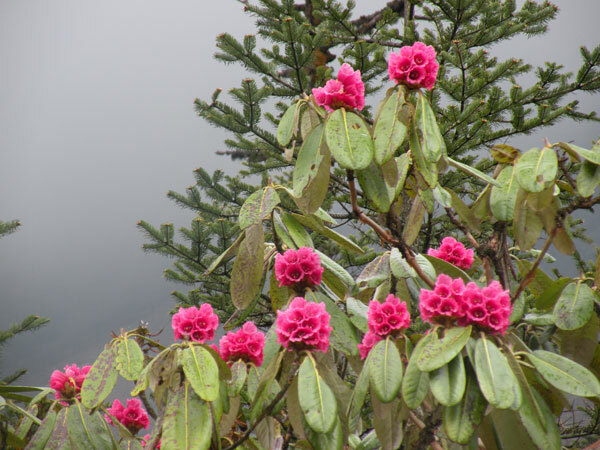 It was a common thought that Sikkim is tucked away in some remote and vague corner of India. But this is not true. Come and feel the culture, the scenic beauty of the state. Trek the mountain peaks. Enjoy the sunrise of Kanchandjangha. Understand the reach Buddhist religion. Tourists and scholars alike create a great demand for information of this area. 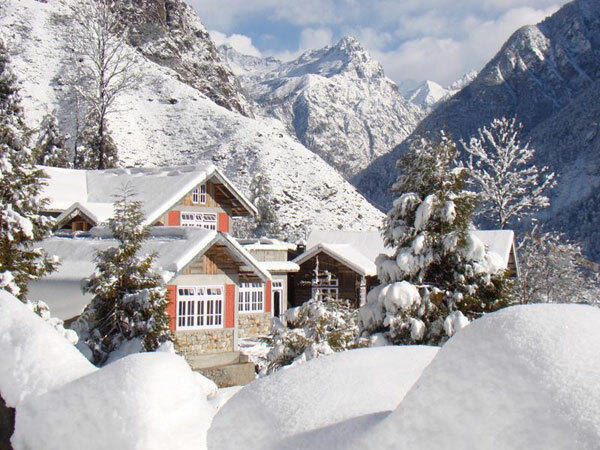 The pristine and unspoiled natural beauty includes Alpine landscape, thick luxuriant tropical forests torrents rivers, high mountain peaks of the great Himalayan range and peaceful lakes - a true Sangrila. The story of Sikkim echoes the land itself - an ardous landscape of peaks and valleys that rise and fall like its tumultuous history. 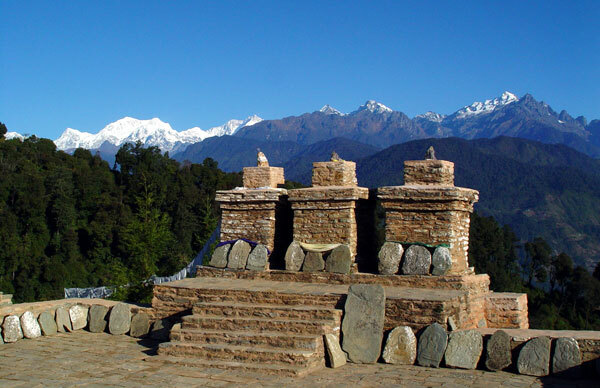 Tours and Treks, passion for learning Buddhism form the integral part of touring Sikkim. Among all the hill stations and tourist places in the Himalayas, Sikkim has some of the best roads. Here below, there are four regions (East, West, North and South) for the information of the viewers and interested tourists. 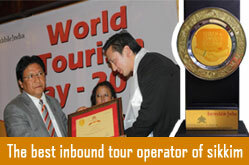 For more information on Sikkim and tours & treks, please feel free to write to us. Communities, Culture, Religions and Customs of different hues intermingle freely here in Sikkim to constitute a homogeneous blend. The "ruling" family is of Tibetan origin. 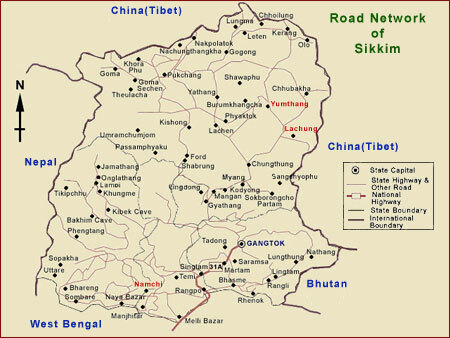 Sikkim was a dependency of Tibet until the British Government in India established its protectorate in 1890. In 1974 Sikkim was merged with India, and became India's 22d state. Border proximity, there is a huge army presence which gives mixed benefits of many non-native persons not respecting local traditions, but also economic advantage to small shops and public projects especially roads. 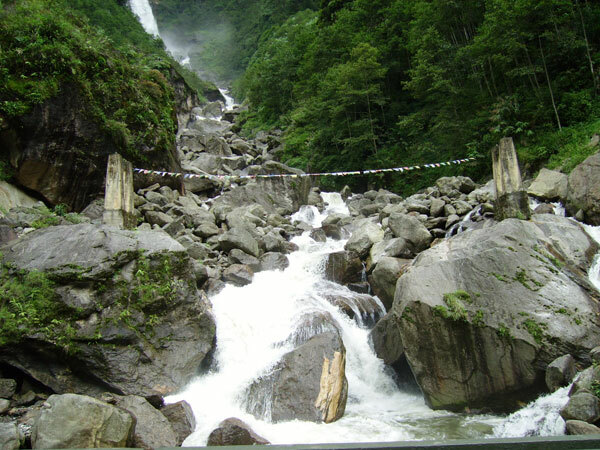 The people of Sikkim are simple and friendly with natural gaiety. 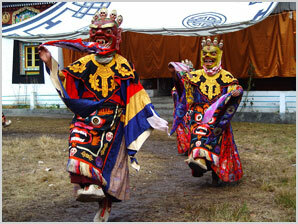 The customs and rituals of Sikkim are as diverse as the ethnic that inhabit the land. The predominant communities are the LEPCHAS, BHUTIAS, NEPALESE and smaller proportions of LIMBUS. All communities live in perfect harmony sharing each other's culture, ethos, and traditions with the result there is now a Sikkimese culture, which is composite of all the three prominent communities. Most of the people speak Nepali, which is also the state language. It is the harmony of the place that provides justification to the name of the state derived form "Sukhim", meaning "happy home, a place of peace". The Sikkimese culture finds expression in it's beautiful art and craft. Knotted woollen carpets with the dominating dragon emblem, and eight auspicious signs; wood carvings, Lepcha handlooms in traditional designs and rich colours for clothes, bags, linen and accessories; leather jackets and handbags, articles of homemade paper, Thanka (religious scroll paintings) and Sikkimese Dragon Jewellery make a fascinating collection of handicrafts, inspired by an age old culture. Those who have lived in Sikkim long enough will testify that life here is, in a sense, an ongoing festival. Life in Sikkim, like in the rest of India, is rooted firmly in religion. Everything a person does is related to his faith. His daily life is governed by the patterns and customs of his religion. 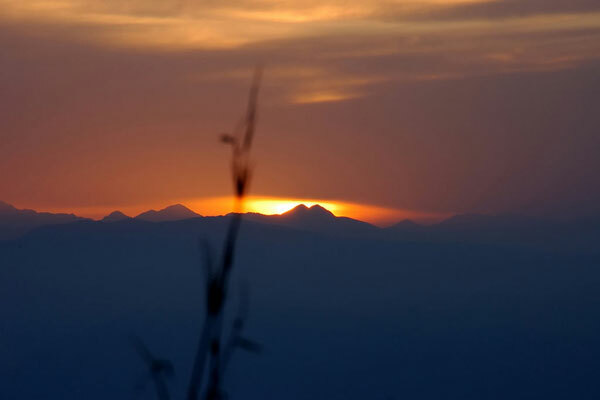 The majestic Mount Khangchendzonga- earth's third highest mountain range, plays a dominant role in the Sikkimese life. 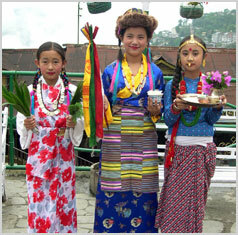 For those visiting Sikkim, the festivals of this place, offer a unique opportunity to participate and sample the rich traditions of an ancient culture; as well as the warmth and hospitality of a friendly people. 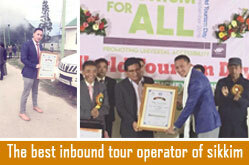 The people of Sikkim love to celebrate. Be it the chasing away of the evil spirit or the celebrations on the occasion of the New Year, the Sikkimese do it all with a gay abandon. And if you're fortunate you could persuade the Sikkimese to offer you 'Chaang' a preparation from fermented millet. The drink is served to you in hollow bamboo pipe. There is an incessant row of festivities in Sikkim. Buddhism and Hinduism, are the main religions, as is exhibited in many of the celebrations. The traditions of the Lapchas display rich cultural heritage. Enchey, Phoodong, Lachung, Pemayangtse, Tsuklakhang, and Rumtek are some of the beautiful monasteries where festivals are held. Pang Lhabsol, Drukpa Tseshi, Losoong, Saga Dawa and Dusain are the main festivals. Buddhism has been practiced in true sense on Sikkim. People visit the monastery to interact with the Buddhist monks to know more about Buddhist cult.